Stay warm and cozy while still looking stylish with these pieces from Mango. 1. Pair your turtleneck with a dress. A fitted turtleneck is an essential piece for layering. You can wear one under a jacket, a chunky sweater, or a button-down. You can even try wearing it under a dress for a more '90s look. The possibilities are endless. 2. Double down on jackets. While a denim jacket barely provides any insulation against strong winds or snow, you can utilize its layering possibilities by pairing it with a more insulated piece. Try layering an oversized denim jacket over a hoodie for a street vibe, or don a fitted version under a long coat. 3. Turn your button-down dress into a short-sleeved coat. If you’re looking for a piece that can be worn in different ways, then look no further. A button-down dress can be worn on its own, with a turtleneck with a chunky sweater thrown over it. A chic way to wear your dress is to undo all the buttons and use it as a short-sleeved coat. 4. Add texture to dainty outfits. Whether it’s for extra warmth or to add texture to your look, a chunky sweater should be in your suitcase for sure. Wear it over a light, feminine dress to highlight the intricate fabric—you’ll look cute and cozy at the same time. 5. Go heavy with outerwear. You can’t bundle up without a long coat. Wear a neutral one over a bright-colored or printed top to balance out the contrasts and elongate your frame. 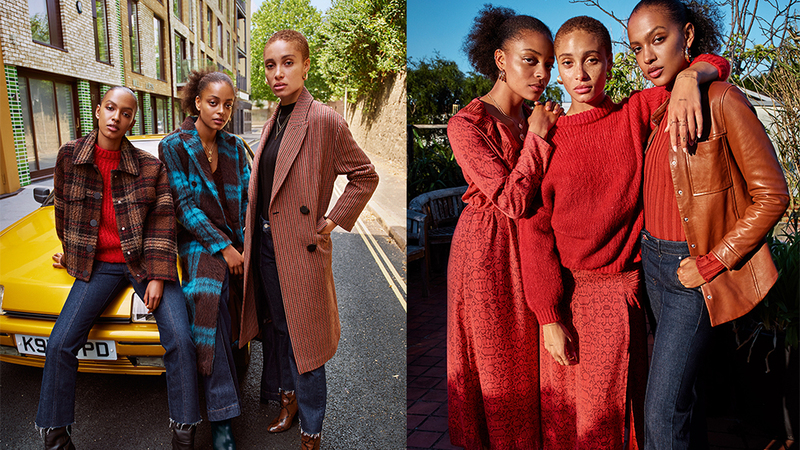 If you’re looking to build #OOTD-worthy looks for when you travel, check out Mango’s Fall/Winter 2018 collection. The pieces are inspired by the '70s, as they feature a relaxed silhouette, animal print, and an eclectic range of colors and volumes that are fun to style. To learn more about the collection, visit Mango's website.